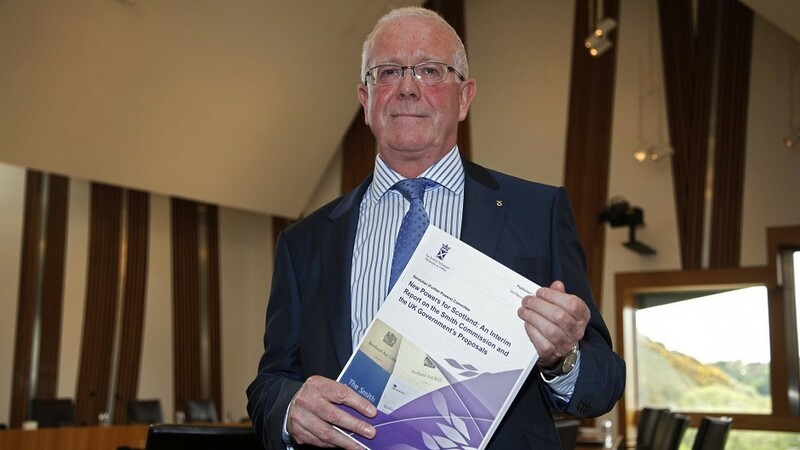 A Scottish Parliament committee has concluded that “draft clauses” put forward by the former coalition government do not meet the “spirit of substance” of the Smith Commission recommendations. Following voters rejecting independence David Cameron put together the Smith Commission to draw up proposals for further devolution. But Holyrood’s devolution committee – which includes Tory and Liberal Democrat MSP, has unanimously decided the UK Government proposals fall short of Smith’s ambitions. Its interim report was agreed before the general election. The findings will suite Nicola Sturgeon who believes Smith did not go far enough and is due to hold post-election talks with David Cameron today. The Scotland Office, now led by sole Scottish Tory MP David Mundell following Lib Dem Alistair Carmichael’s ejection from government in the election, has pledged to hold a full parliamentary discussion “where differing views can be heard”. North-east Conservative MSP Alex Johnson said the draft clauses were “imperfect” and lack clarity on benefits and welfare. “The problem is what we have been presented with is hard to interpret – it could mean a number of things in a number of areas,” he said. Shetland Lib Dem MSP Tavish Scott, who sat on the Smith Commission alongside SNP MSP Linda Fabiani, demanded the new Tory government put the full intent of Smith into law. “I know what Smith wanted to do, I know what we negotiated, I know what therefore has to be given effect by incoming legislation that will at some stage this year be put in front of the House of Commons,” he said.